Excellent recipe! Be careful not to cook the sauce too long on the higher heat because it will be too thick to mix into the fruit. 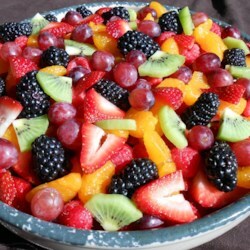 I put this with just fresh pineapple, strawberries and blackberries and it was delicious!